Imagine a technology that caters to your comfort, safety and convenience. Making it truly home sweet home. Imagine a house that ‘lives,’ analyses and understands your schedule and makes changes to bring about a prime level of comfort to your hectic life. The lights turn on when you enter, the air quality and temperature has been maintained at just the right level, and you don’t even have to get up from your silky, fluffy bed in order to see who’s at your door. You get to see a live video of the person ringing your bell. Faststream Technologies brings this way of life to you using cost-effective strategies and the latest in sensor technology that facilitates next-gen ‘Smart Control’ of the appliances in your home. No matter where you are, you get to read the status of every facet of your home. Get real-time alerts of visitors, delivery personnel, and break-ins with the help of motion sensors and computer vision. 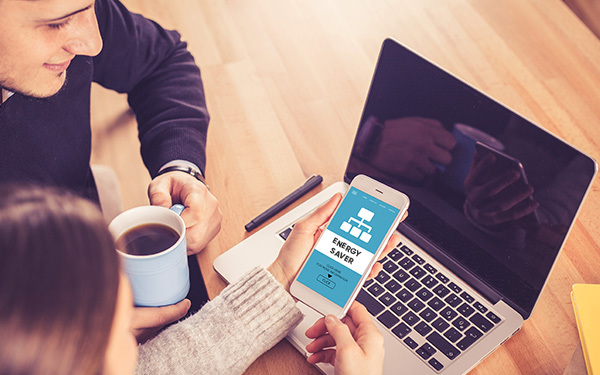 Experts estimate that retrofitting water heaters with the IoT controller can enable consumers to enjoy 10 percent to 30 percent in energy savings because they heat water only when needed. In addition, utilities can use the smart water heater controller as part of their programs to help control energy demand to the grid, which is important for achieving mandates to reduce energy usage and avoid grid overloads. Using a smartphone, tablet or PC, check consumption and cost, set schedules and energy cost. Facilitate lower rates, lower maintenance costs and the peace of mind of having alarms in case of tank leaks/shot circuits or other hazardous situations. Offer Demand Response programs based on frequency, consumption and usage rates. The IoT gateway controller can provide total insight into the water tank parameters including the state of the heater, instantaneous demand, voltage, current, frequency, etc. Choose your connectivity, either through the premise’s broadband or with a dedicated cellular connection. The solution offers enough flexibility whether managing a home, set of apartments, rural setting, or large campuses. Certain equipment’s, such as ATM’s, Printers, Chemical Plants & Heavy Machinery require a consistent temperature setting so that they remain highly productive. Ambient temperature can be achieved by IoT Air Conditioner solutions. Our IoT enabled platform helps consumers with real-time shelf monitoring. i.e. Replenish your shelf before you run out of grocery. OTA, enables cloud-based over the air updates to make sure you always have the latest firmware. Insta view allows a peek-a-boo into your fridge without opening the door. Just tap the door twice and the chromatic glass becomes transparent giving you a look inside. Smart Cooling enables automatic climatic control and temperature management. Powered by advanced hall effect flow meters to monitor the amount of water that has flowed through the cartridge. Using an advanced state of the art signal processing system, our flow meter is extremely precise and efficient. The flow meter shall calculate the amount of water flowed through the filter cartridge and push real time updates to the cloud and mobile devices to make sure the user is always aware of the status of the filter cartridge. Analytics Dashboard would provide an extensive report on water quality, minerals and other relevant factors.